Is it too early to help your children find their calling? What are they going to end up doing when they grow up? Will they feel about their jobs the way you feel about yours? Either you hope so—or you hope not! What you do with your work is an important way to contribute something of value to the world, but there are few contributions more valuable than doing your best to raise your kids to do the same. Ultimately they will make their own choices and forge their own paths. Still, what can parents do to help them along the way—to cultivate good habits and generous spirit, but also to identify a career path that will fit them well? Put another way, what can you do early on to help your young children eventually discover and live out their callings? In our book Make Your Job a Calling, Ryan Duffy and I describe four things to strive for. 1. Help your children develop their gifts. With apologies to John Locke, children are not blank slates when they are born. They have inherited, among other things, a budding set of gifts—interests, abilities, personalities, and needs—that are incubating within them. You have undoubtedly experienced this with your children. Depending on their ages, one of your children might seem naturally drawn, for example, to finger painting, sculpting Play-Doh, and braiding a bazillion bracelets, whereas the other might be a rough-and-tumble kid who loves running around, wrestling, and getting dirty outside. Maybe one is fascinated by animals, while the other can’t get enough of number puzzles like Sudoku. Whatever the particulars, all children seem to have certain signature tendencies that they express consistently and that probably seem to have emerged all on their own. You may or may not have noticed how these kinds of tendencies have shaped the way you parent each of them. Do you find yourself subscribing to Zoobooks and Ranger Rick for your animal-obsessed kid, and buying puzzle books for your Sudoku kid? Such personalized presents end up reinforcing and strengthening these particular interests. This kind of environmental shaping happens very naturally; you want to feed your children’s interests, so you create opportunities for them to do more of the things they love or are really good at. In doing this, you help them further develop those gifts that make them unique. This process of identifying children’s preferences, abilities, personalities, and needs, and creating opportunities to further develop these gifts, is both adaptive and important. If your child loves sports, register her in the local rec league and play catch with her in the park. (Just don’t get obsessed yourself.) If your child loves music, sign him up for piano lessons and sing songs around the dinner table. Keep doing things like this, because it will help them develop their potential, an important step in their increasing awareness of their own strengths. Such awareness will eventually help them discern their callings in life. 2. Help your children expand their gifts and explore the world around them. As important as it is to recognize your children’s gifts and create environments in which they can develop them, it easy to go overboard with this. All of us have encountered parents who put their finger on a particular skill or ability a child seems to have and proceed to overwhelm the child with a rigidly constrained environment designed to squeeze every bit of that particular ability out of the child. Even with the best intentions, it’s not hard to wonder whether sending a nine-year-old to a special school where she can train year-round for six or more hours a day to perfect her tennis game (for example) is really the best option for fostering her development as a person. Decades of research evidence suggests that important individual differences like interests and personality are not fixed during childhood and adolescence, but rather fluctuate considerably before (mostly) stabilizing during early adulthood. With this in mind, it is usually wise to urge middle and high school students to avoid going all-in on a particular career path too early. Doing so has the potential to close the child off from learning about other opportunities that may ultimately lead to a better fit with her or his developing gifts. 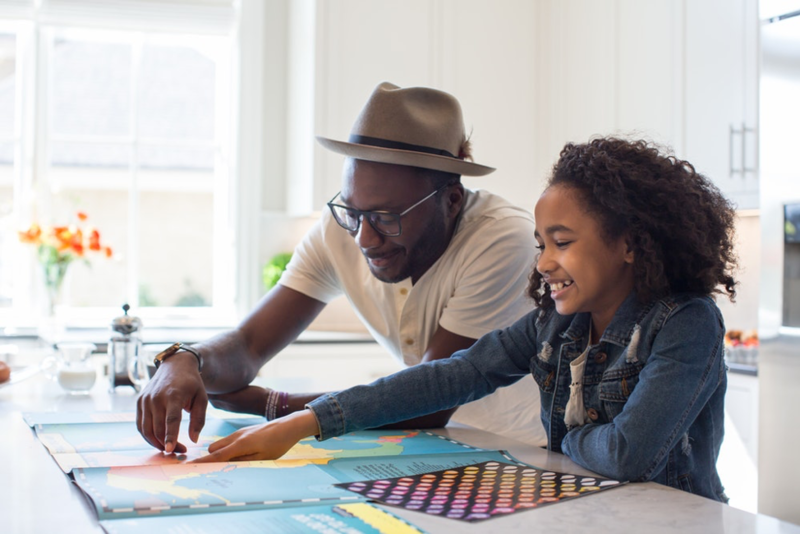 Instead, encourage your children to explore the activities they seem passionate about, but also to try new activities and experiences, strive for well-roundedness, and keep options open. Take your children not only to the zoo but also to the art gallery and the museum of science and nature. Get tickets not only to a baseball game but also to the civic theater. Connect them with role models representing a wide array of occupational spheres. By exposing them to such diverse experiences, your children will undoubtedly find some things more enticing and enjoyable than others, but they will learn more along the way and may surprise you and themselves with interests or abilities that may otherwise have gone untapped. 3. Help your children develop a concern for others in their community and world. As children develop, expand their gifts, and explore the world around them, they start to develop a curiosity and concern about their future. They project themselves into various roles and imagine what serving in those roles might be like. As they do so, they begin to develop a sense of motivation. In what is that motivation rooted? For children who are insulated from the world around them, the source of motivation may center around themselves. For those who visit unfamiliar places, build new relationships with peers outside their comfort zone, and experience the plight of those much less fortunate, their motivation will likely better account for the experiences of others. Travel with your children to new places, especially as part of a short-term service trip, and interact with the locals. Volunteer with your children at a soup kitchen, homeless shelter, local hospital, or assisted living facility. Get to know the people you are serving and listen to their stories. Talk about them with your children. Such experiences will help your children develop sensitivity to the very real needs of people in their community and world. As they continue to grow, this other-oriented focus will help them identify how their gifts may be uniquely useful in contributing to the common good and well-being of others. 4. Model what it means to live a calling. Your children naturally look to their parents as their primary role models. If you approach your job or other life roles as a calling, they will pick up on this. At the same time, I am often surprised by how little many people know about their parents’ values in life and experiences at work. If you can’t stand your job and think of it as the furthest thing from a calling, share this with your children, too; help them understand what you like and what you wish was different about your experience. Your influence on your children’s career development and emerging sense of calling can best be accomplished through conversations with your children about your work life, goals, and motivations, combined with your long-term effort to establish a supportive environment in which your children can freely develop their gifts, explore the world around them, and establish a concern for others. Create these opportunities, encourage your children as they engage in them, and model these behaviors yourself. Dik, B. J., Steger, M. F., Gibson, A., & Peisner, W. (2012). Make Your Work Matter: Development and pilot evaluation of a purpose-centered career education intervention. New Directions in Youth Development, 132, 59-73.